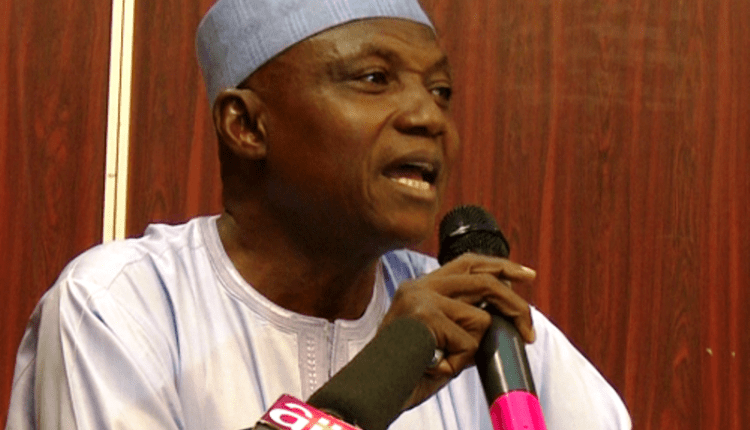 The Presidency on Tuesday raised alarm on what it described as attempts by the opposition Peoples Democratic Party (PDP) â€œto bring down the roof on everyoneâ€™â€™ for selfish political reason. Malam Garba Shehu, the Presidentâ€™s Senior Special Assistant on Media and Publicity, in a statement in Abuja, noted that the PDP had embarked on activities capable of disrupting the nationâ€™s democratic system. The statement read: â€œWe read the various statements issued in the press by the opposition, Peoples Democratic Party (PDP), with the latest personalizing their attacks on President Muhammadu Buhari. â€œThis attack is uncalled on the administration that crosses the line in a democracy. A call for disobedience to government is a call to anarchy and should not be called opposition politics. â€œSeeing people go down as the PDP and its leaders are heading to in the elections is pitiful but to seek to bring down the roof on everyone is tragic, selfish and the height of desperation. â€œHappily, these acts do not reflect the true feeling of citizens across the whole nation, and that is why the PDP is sinking deeper and deeper into the oblivion. â€œThey are losing memberships in droves and their campaign is just a caricature of a proper campaign. â€œIt is high time Nigerians separated the chaff floating around in the air in the name of opposition from the crude and disgraceful invective being thrown personally at President Muhammadu Buhari. â€œThe problem of the opposition is that they are not talking about solutions. Rather, each of them, led in the pack by the PDP is an expert at counting problems. That is the reason why the voting population is coming around the Buhari-led All Progressives Congress (APC). â€œFor years, the PDP had been a bastion of corruption and impunity and it is difficult for them to change from their rentier way of life in the nationâ€™s affairs. But CHANGE has come, and has come to stay,â€ Shehu said.